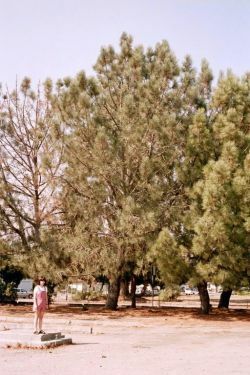 Comments: Conifer native only to Santa Rosa Island and a small strip of coastal San Diego County in California--the rarest conifer in North America. this pine has five 6" long persistant needles per bundle on thick round branches. Tree branches low on the trunk and tends to be bushy unless pruned. Specimen trees are 30' tall but mature trees can be 50' or more in ideal habitat.